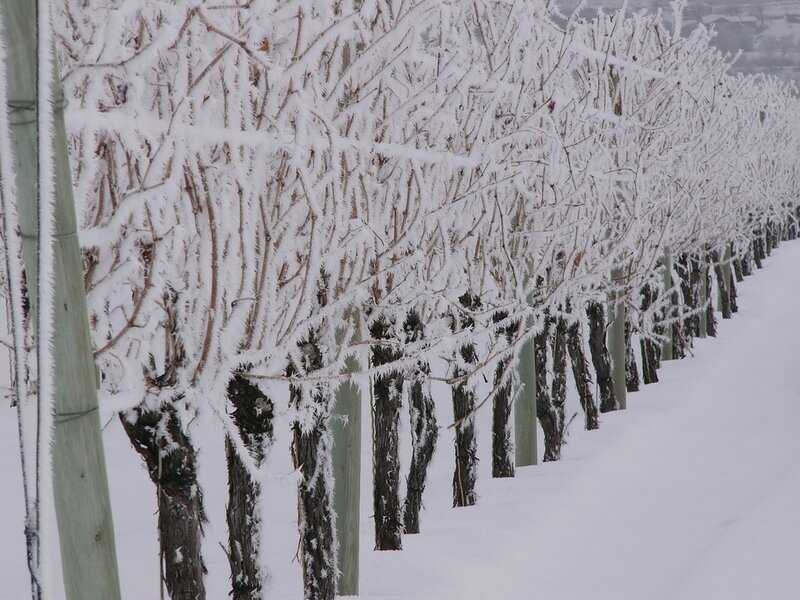 Click for an interesting article on Icewine. Walter Gehringer tells it all to you! (c) grapes grown in a geographical area designated by a prescribed geographic indication other than "British Columbia" and pressed within the same geographical area. (2) The grapes referred to in subsection (1) must be transported by the most direct route from picking to pressing. (3) Icewine must not be processed using any artificial method of concentrating the sugar content of fresh grapes, grape juice, grape must or wine, including artificial refrigeration at a temperature below -4°C. (4) Tank cooling at a temperature below -4° C is prohibited during fermentation and cold stabilization prior to bottling. (b) achieve an average of at least 35.0° Brix respecting combined pressings in the fermentation vessel. (6) The residual sugar in Icewine at bottling must not be less than 100 g/L. ​(7) Residual sugar and alcohol in Icewine must come only from the natural sugar in the grapes. (b) provide notice to the authority of the intention to pick grapes to make the Icewine. How long should I age my Icewine? Icewines do not require aging and you may drink them within the year of purchase. 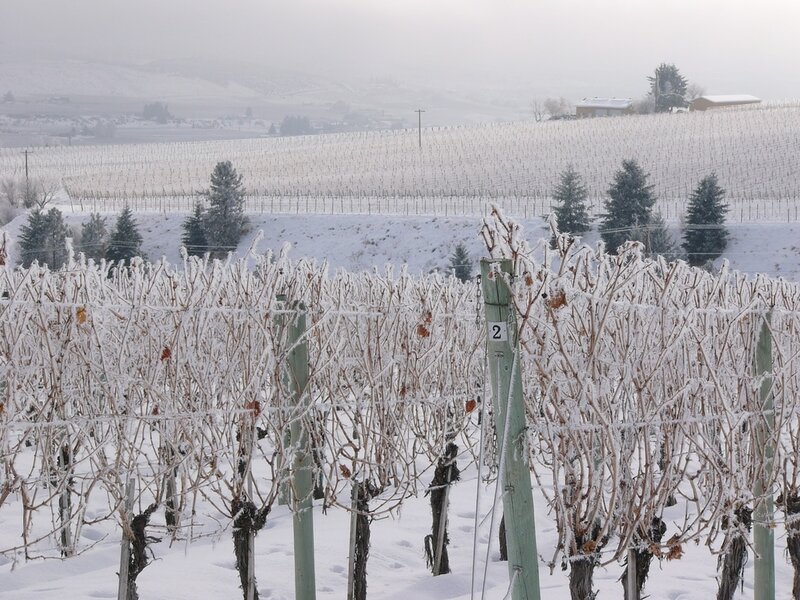 Some grapes, such as Riesling and Vidal, carry sufficient acidity to allow those Icewines to stay in storage for several years. Is Icewine only a dessert wine? No. Most people think of Icewine as the perfect complement to dessert, which it is. But in other countries, Icewine is served before the meal with cheese or other salty hors d'oevres. You can also experiment by using the Icewine in salad dressings or other accompaniments. Consider serving it with a spicy or salty main dish. I love it for dessert. And so do we. But keep in mind the general rule, that the dish you serve with the Icewine should never be sweeter than the wine. Otherwise, the dessert will take over the flavours and both your chocolate cake and your Icewine are wasted! Icewine is exceptional with fresh fruits, blue cheese, nuts, ricotta (dry) cheesecake, or unsweetened apple tart. Dark chocolate is often a beautiful match for red Icewines, such as our Cabernet Franc Icewine. How should I serve the Icewine? Historically, the traditional Icewine glass was small and narrow. Just as with sparkling wines, however, the trend is changing to use a larger bowl such as a traditional wine glass to allow the aromas of the Icewine to shine through. And remember, this is a sipping wine to be savoured so just a small portion (an inch or so) in the glass is enough for one serving. Should I keep my Icewine in the freezer? No. 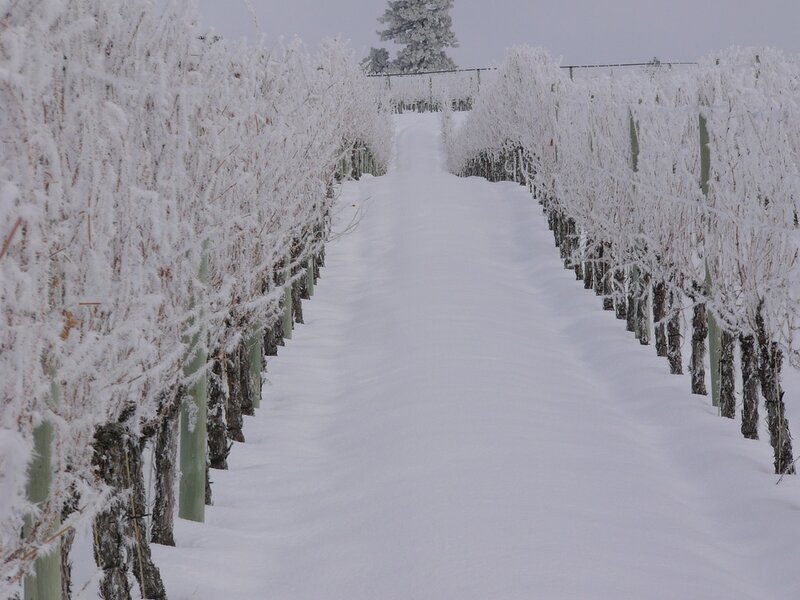 The typical temperature for an Icewine is 10°C, and in some cases the red Icewines are not chilled. Whether to chill or not is your preference, but remember, a very cold wine runs the risk of losing its bouquet, something to be savoured in the Icewine. Once it is open, how long will it last? An open bottle of Icewine will last several weeks in the fridge if properly sealed.